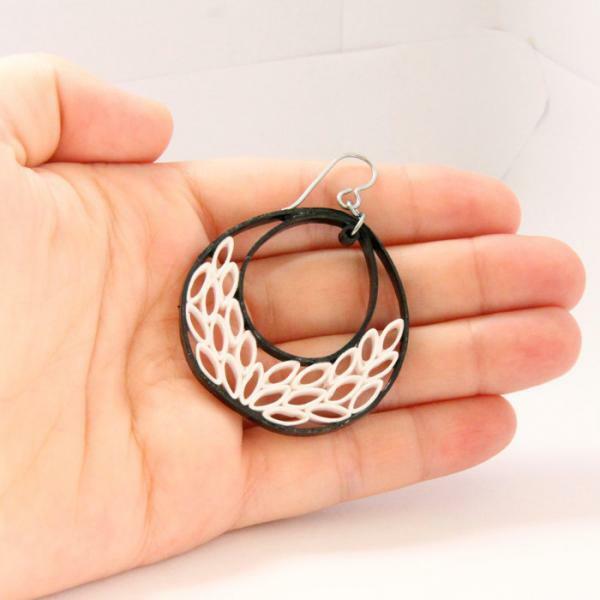 These stunning eco friendly crescent earrings are handcrafted by the art of paper quilling I used specialty quilling paper in black and white for a timeless fashion. 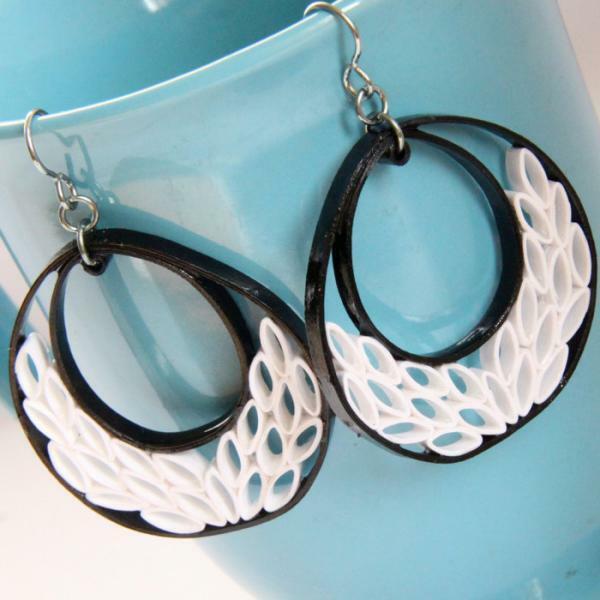 This special pair is finished with hypoallergenic niobium earwires and jumprings. Why niobium? It is non tarnish and as hypoallergenic as pure gold!! They are very high quality findings and I love them! The pair of earrings in the photos has been sold. 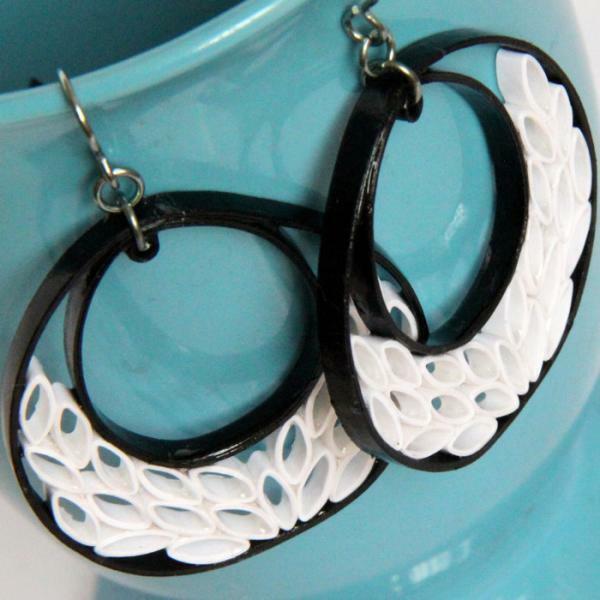 The instock pair is the same design and colors, but may have slight variations because they are all handmade. 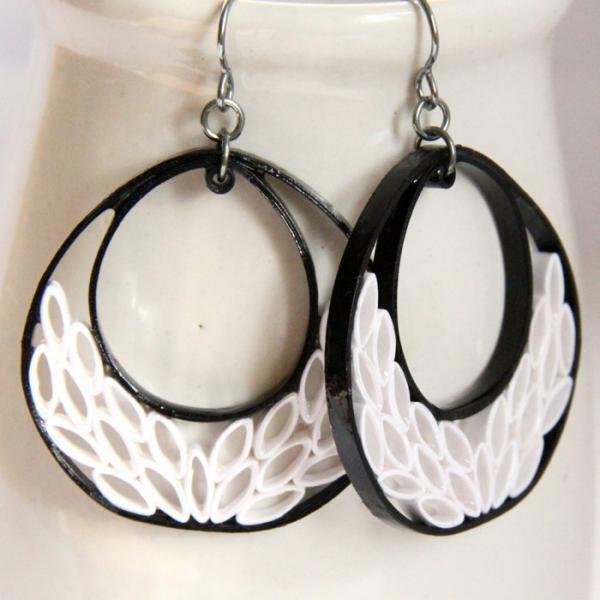 They are carefully hand varnished in several layers of non toxic sealant for a sturdy, water resistant finish.